We have managed and assisted with numerous outdoor festivals, block parties, marketing stunts, and promotional giveaways, as well as other unique events in parks, city streets, and on public sidewalks. We know the logistical ins and outs, the lay of the land, the permit process and how to launch and assemble great public and private events from load-in to load-out. 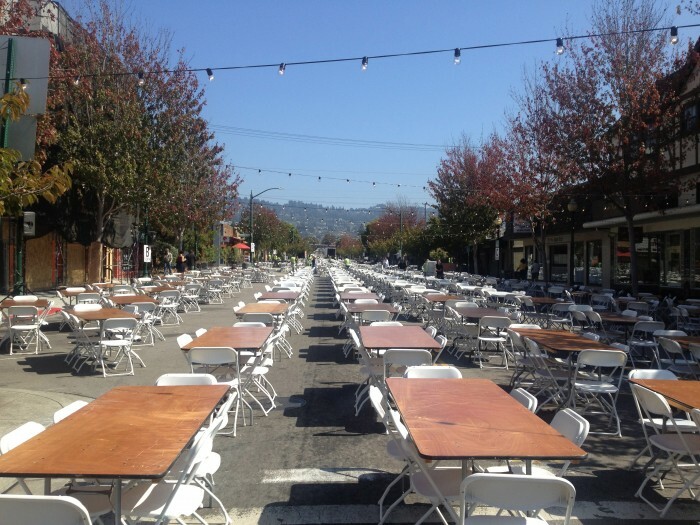 Event Magic provides Chairs and Tables – Festival Rentals and So Much More! If you need help getting a concert, rally, film shoot, marathon, or other public event in the Bay Area off the ground, give us a call. We can definitely assist you in producing an outdoor festival event in Northern California!